Dr. Newsom is the Founder and Medical Director of Newsom Eye. He is board certified by the American Board of Ophthalmology, specializing in Cataracts and LASIK surgery. Dr. Newsom brings a wealth of experience, awards, and research to the practice. 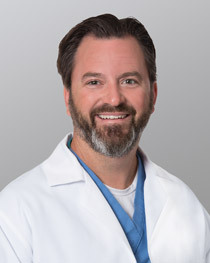 Born in Gainesville, Florida, Dr. Newsom’s personal interests include traveling with his wife and three children, water and snow skiing, tennis, and flying helicopters. A Prospective, Randomized, Controlled, Multi-Center Clinical Study of the ACRYSOF® IQ Extended Depth to Focus IOL, Alcon, Inc.
FDA Clinical Study for Segmented Bifocal Intraocular Lens, Lenstec, Inc.
FDA Clinical Study for the Light Adjustable Lens, Calhoun Vision, Inc.
FDA Clinical Study for EYEFILL Viscoelastic, Croma Pharmaceuticals, Inc.